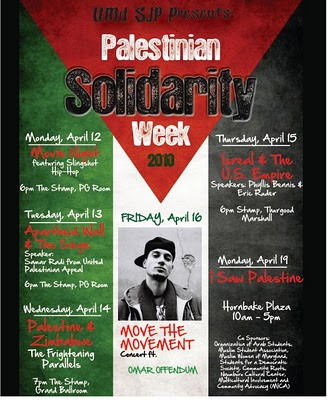 UMD Students for Justice in Palestine presents Palestinian Solidarity Week 2010 from Monday April 12 to Monday April 19. Slingshot Hip Hop braids together the stories of young Palestinians living in Gaza, the West Bank and inside Israel as they discover Hip Hop and employ it as a tool to surmount divisions imposed by occupation and poverty. From internal checkpoints and Separation Walls to gender norms and generational differences, this is the story of young people crossing the borders that separate them. Featuring SAMAR RIDI from United Palestinian Appeal speaking on the situation in Gaza and the West Bank (i.e. 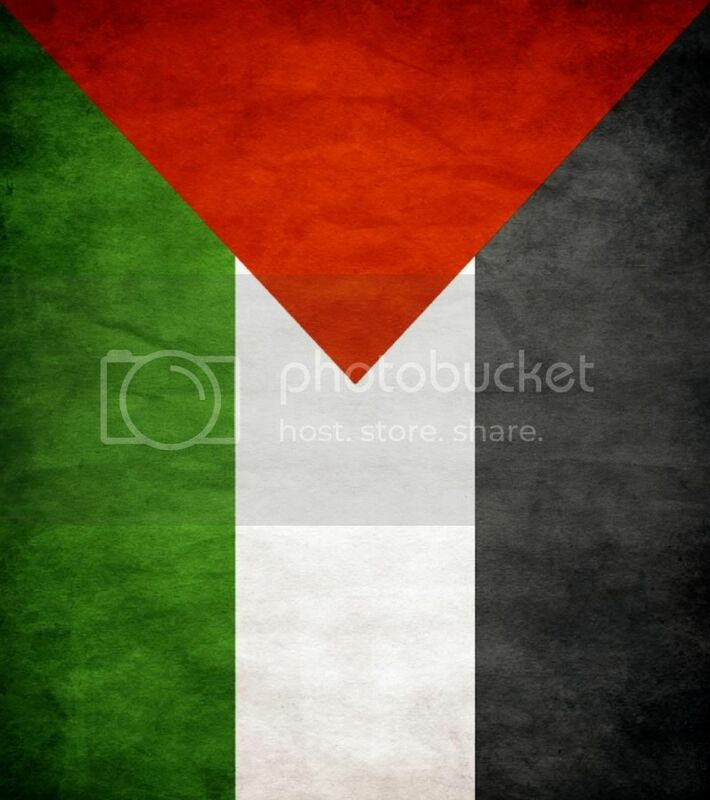 the Wall, checkpoints, closures etc) and the humanitarian effect it has on the people of Palestine. She will also speak about the efforts of United Palestinian Appeal and various ways for student/activists/citizens to help. Featuring PHYLLIS BENNIS from Institute for Policy Studies, speaking on "Your Tax Money to the Israeli Military?" Is the U.S. really "pressuring" Israel? What's the deal with Israeli settlements? What do they have to do with us? Phyllis Bennis will discuss the recent flap between the Obama administration and the Israeli government, the $30 billion of U.S. military aid, and the changing discourse on Israel-Palestine across the United States. Move the Movement: CONCERT featuring OMAR OFFENDUM and BIN LADEN BLOWING UP (BBU) as well as other student bands and poets. A demonstration of just a glimpse of life under occupation in Palestine, surrounded by a Wall and undergoing multiple checkpoints daily.